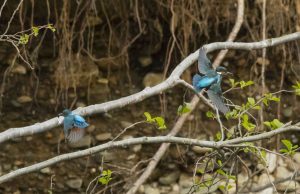 COWAL: Dipper, Grey Wagtail, Sand Martin all nesting on a 50 yard stretch of the River Eachaig – and also a pair of Kingfishers perhaps also nesting (Alistair McGregor). 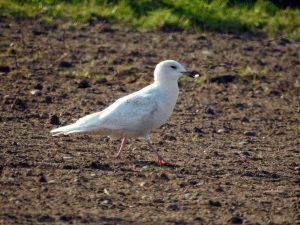 ISLAY: A Little Egret at Gruinart reserve last evening and still there today (Ian Bradley per Ian Brooke) and a Greenshank at Saligo (Ian & Margaret Brooke). TIREE: A few bits and pieces today included – an Arctic Skua at Gunna sound, at least 7 Great Northern Divers around the coast, 3 Bar-tailed Godwits at Gott Bay – also 2 Red Knot there – plus good nos of Ringed Plover, Sanderling and smallers nos of Dunlin around. 2 House Martins at Vaul, a Common Sandpiper at Mannal, a Spotted Flycatcher at Balephuil – also 7 Redpolls there, at least one a Lesser -other Commons, 2 Redpolls over the Glebe, a 2CY Iceland Gull at Kenovay, 2 Whimbrels at Balevuillin (Jim Dickson). MULL: An adult Little Gull with Kittiwakes and Manx Shearwaters at rest on sea – also two Storm Petrels near Cairns of Coll (per Alan Spellman). KINGFISHERS – River Eachaig, Cowal 24th May (Alistair McGregor). 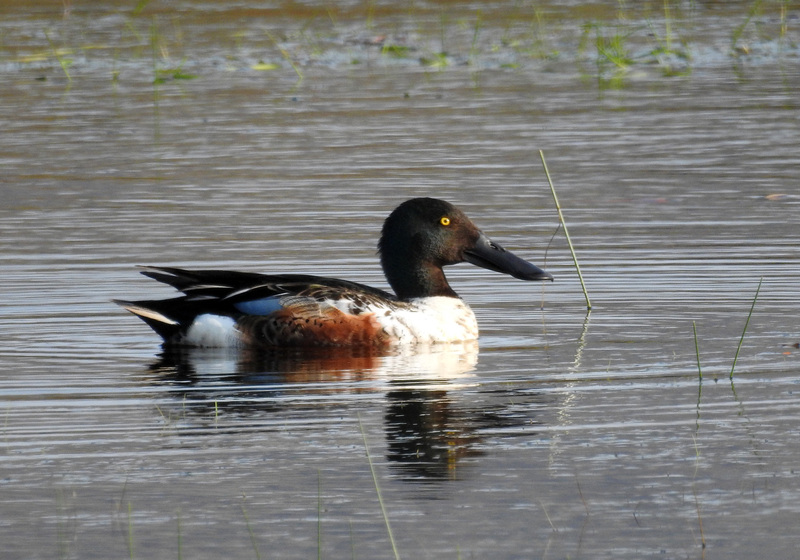 SHOVELER – Tiree 24th May (Jim Dickson). 2CY ICELAND GULL – Tiree 24th May (Jim Dickson).